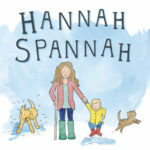 Do you have a budding astronaut at home? An alien adventurer? 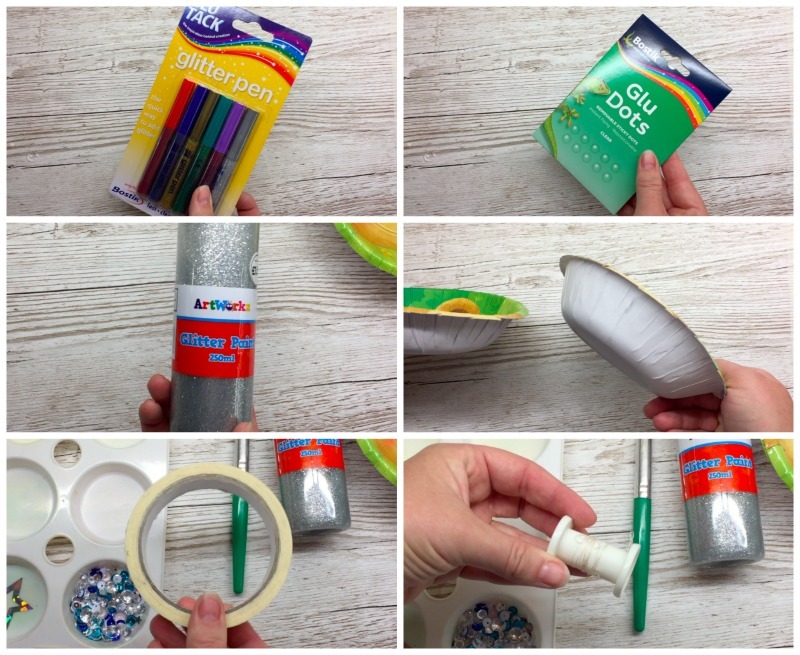 If so, we have a simple craft for you to make. 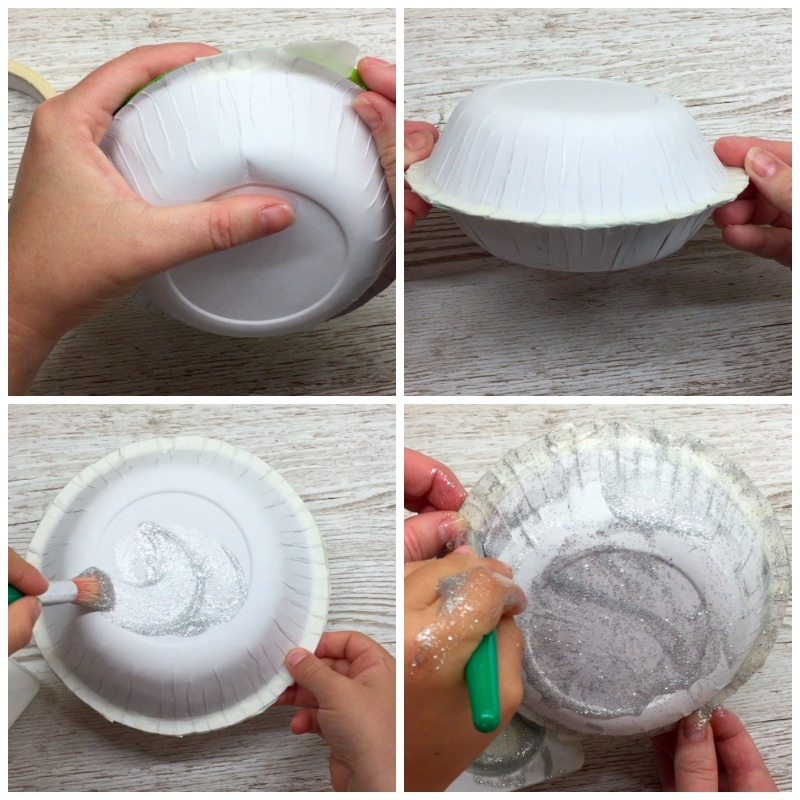 Start by taping the two paper bowls together with the masking tape. Small pieces at a time work best. It isn’t the easiest thing to do but don’t worry if it’s not perfect, you’ll never notice when it is finished. 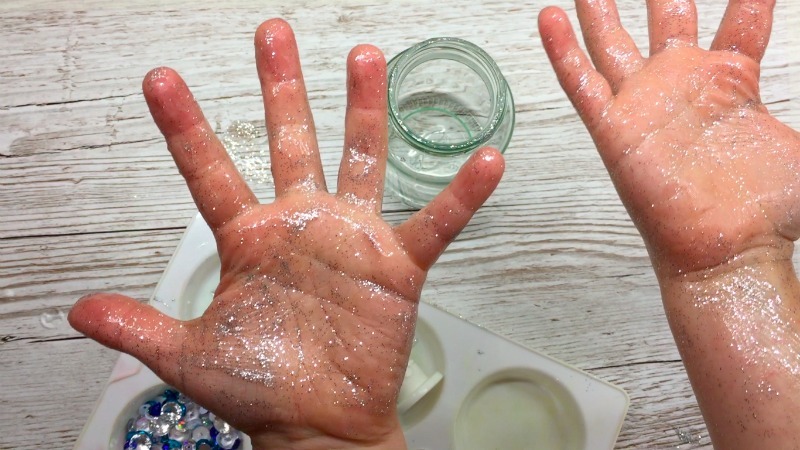 Then let your little one loose with the glitter paint. You too can have a glitter child like mine…..it was almost up to his armpits. We applied two coats of the paint to flying saucer and as we are impatient, we dried it with the hair dryer on low heat, between coats. 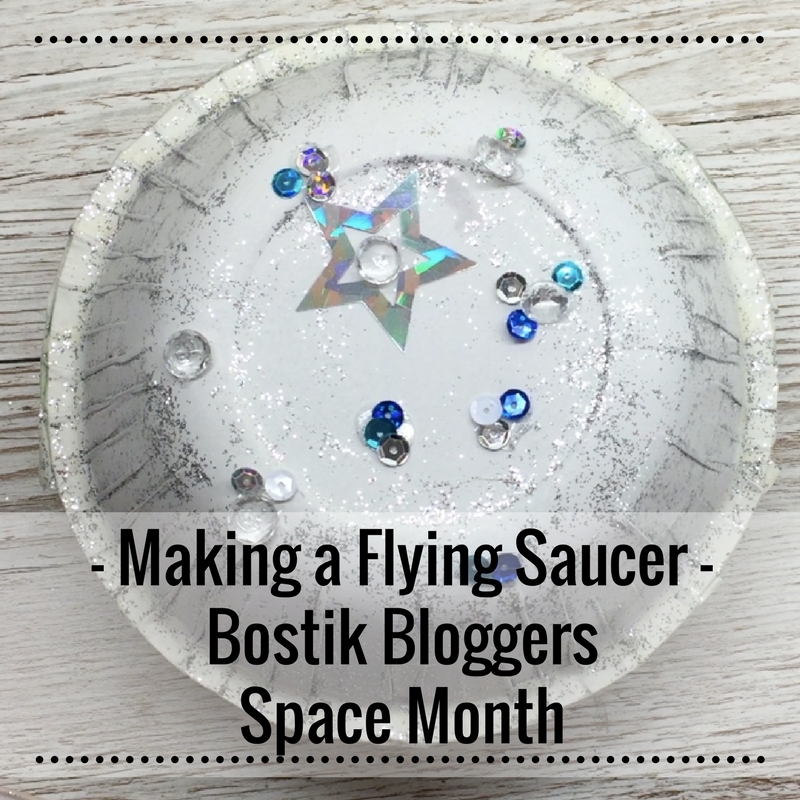 We then took the Bostik Glu Dots (we love these as they are an instant fix) and used them to stick sequins on to the flying saucer. 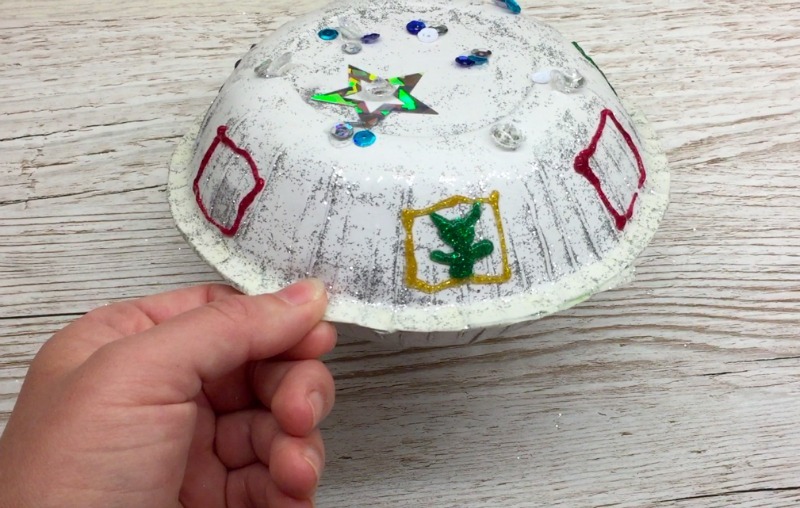 We figured that a flying saucer would be really shiny and sparkly. Why not? We then used the Bostik Glitter Pens to draw windows all the way around. Of course, we had to add an alien. 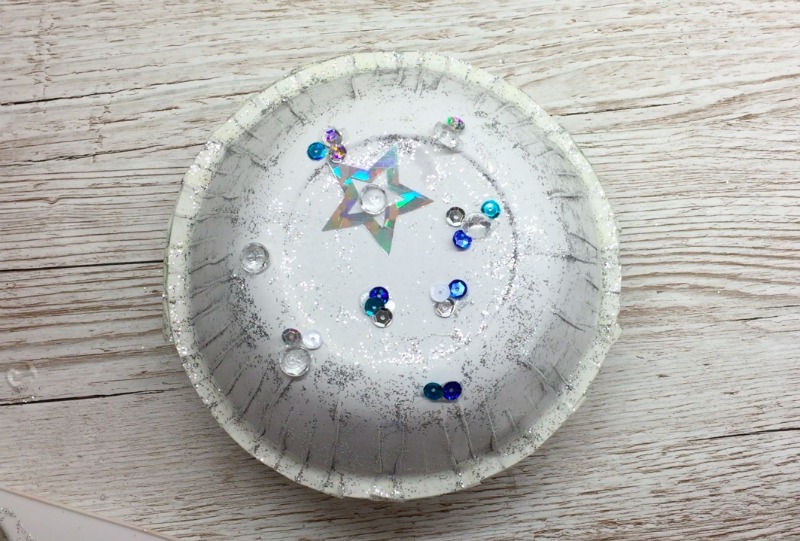 Bear then used a Glu Dot to stick a piece of thread on to the top, which he covered with sequins. 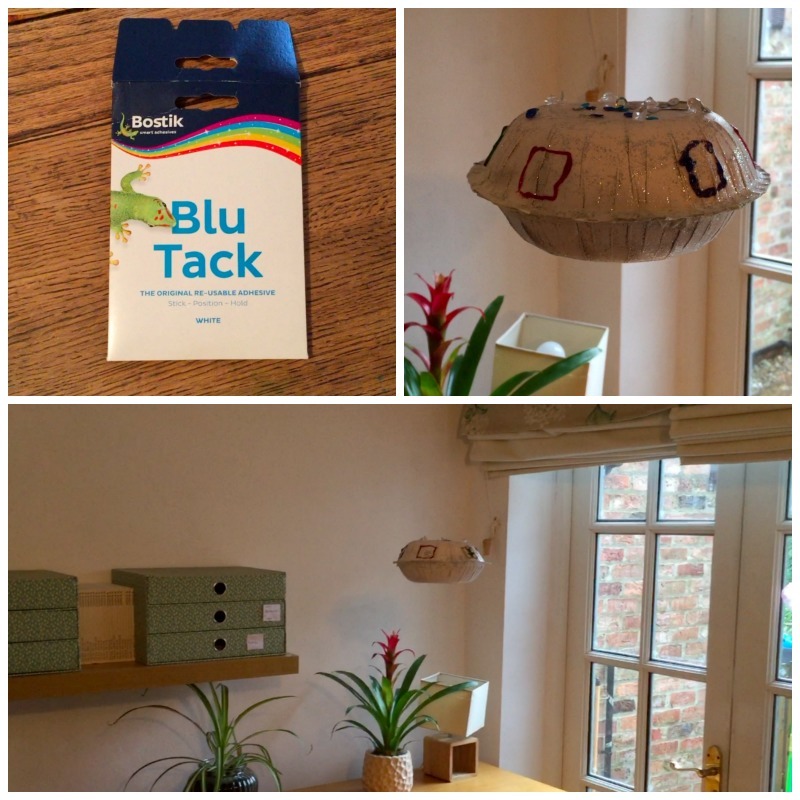 Finally, we used some Bostik White Tac to stick the saucer onto the ceiling. Bish, bash, bosh. Flying Saucer, done. 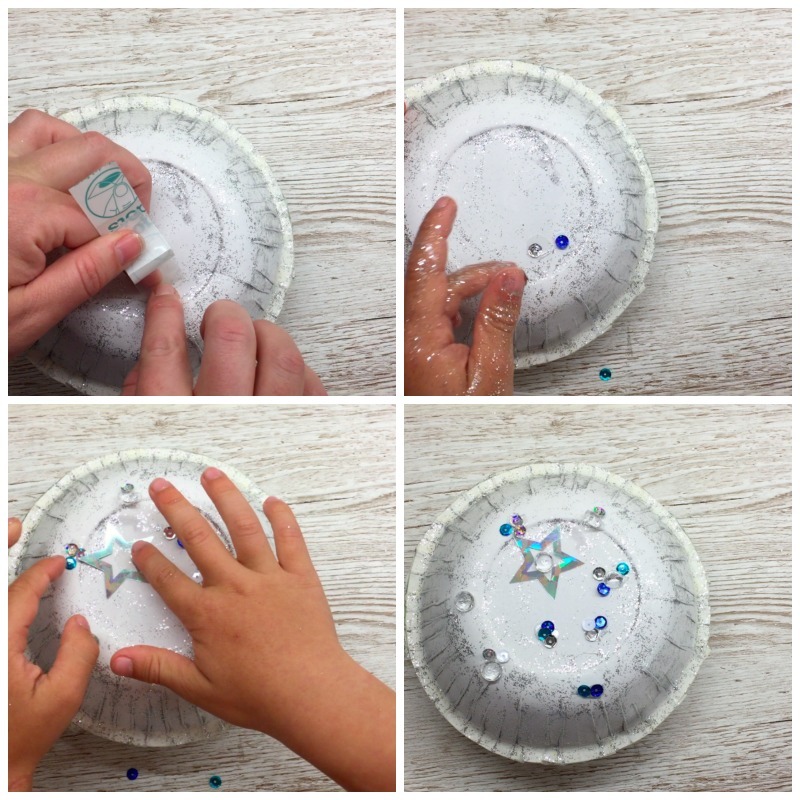 We also made some Space Slime using Bostik White Glu. Borax free and using UK ingredients. Recipe coming soon! 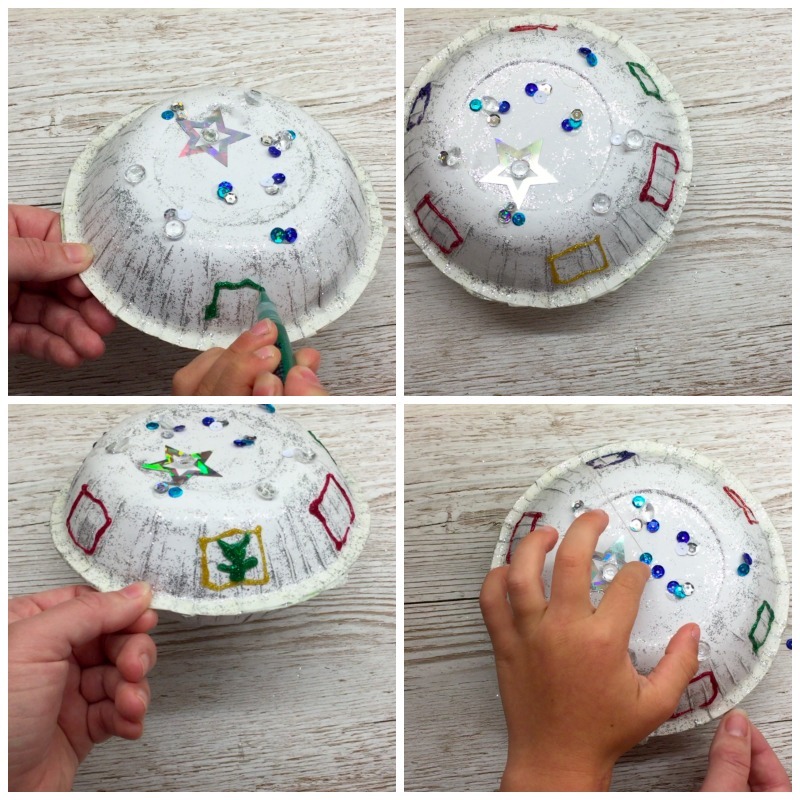 We hope you liked the tutorial for the Flying Saucer.